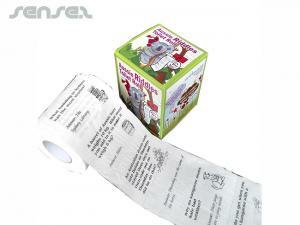 Nothing suitable in promotional tissue boxes & packs? 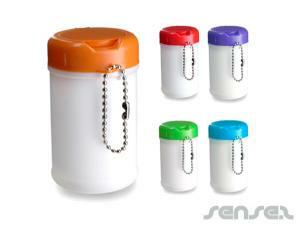 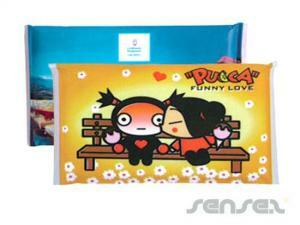 Promotional Tissue packs make ideal wellbeing and health related promo gifts. 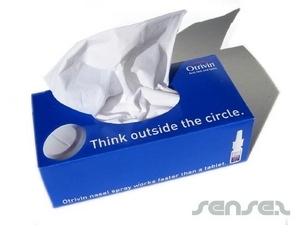 Choose from our extensive innovative range of custom branded tissue packs, cheap pocket tissues, cheap promotional branded pocket tissues, printed tissue boxes for your next novelty promotional campaign. 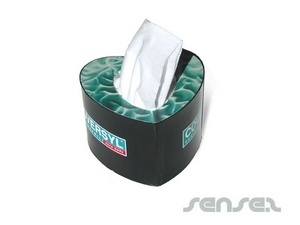 We have cheap tissue packs of 4 tissues per pack that are ideal for mass corporate marketing campaigns or choose custom branded tissue boxes with your logo printed all over them for promotional office items related well-being and health promotional messages. 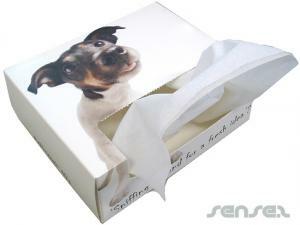 Our tissue boxes can be custom shaped even to your own design. 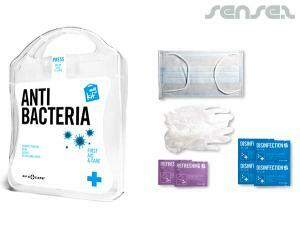 Our antibacterial tissues are also ideal for health and well being promotional campaigns as they keep germs away and your customers healthy. 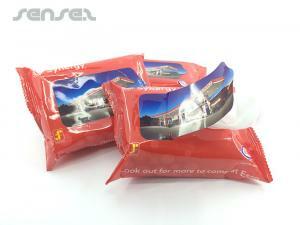 Our innovative innovative range of Tissue packs come from 4 tissues per promotional pocket tissue pack to 10 tissues per pack. 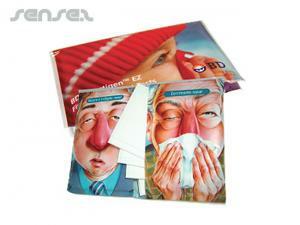 We can even print the cheap promotional tissue packs with your full color process design!